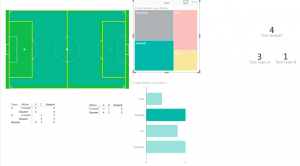 At this scenario, the fact data will be produced by the employees or any manager. 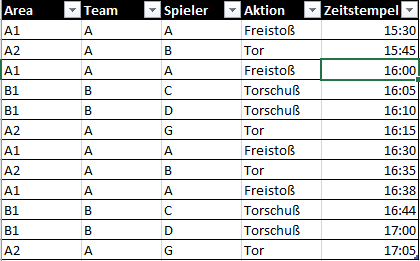 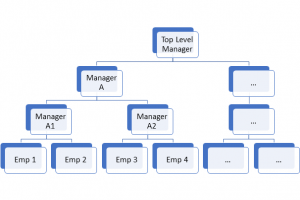 If “Emp 1” will create a fact row, the need is that “Manager A1” and “Manager A” and the Top-Level Manager want to see the data in the hierarchy. 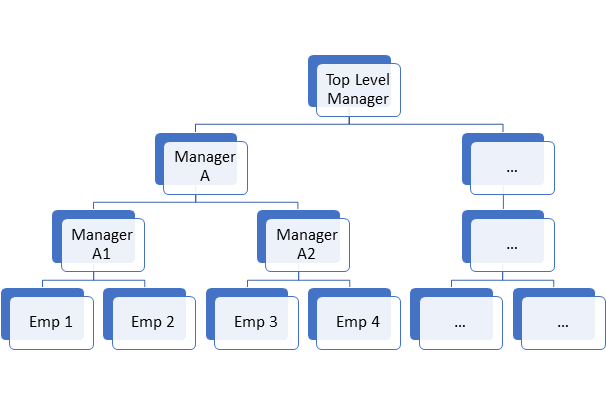 The other employees and the Manager A2 does not able to see the data, because the hierarchy path is not to them connected. 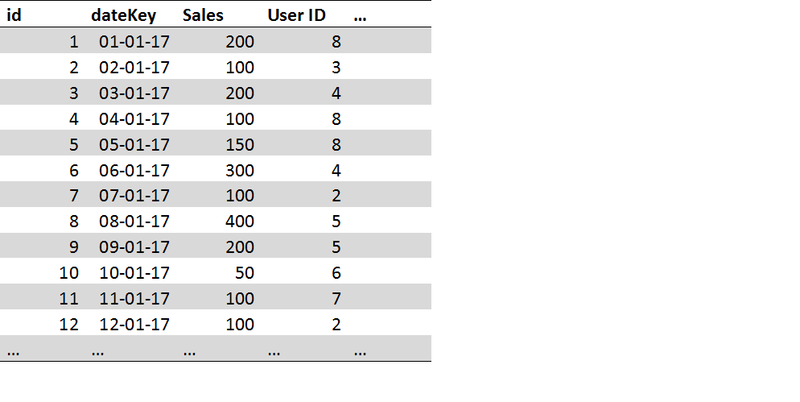 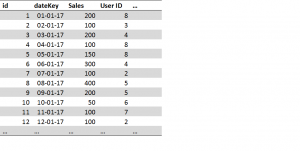 A Table with the unique users – every user has his unique entry with an ID and a email address. 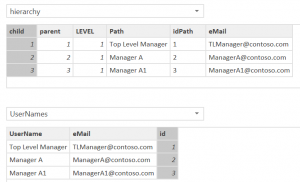 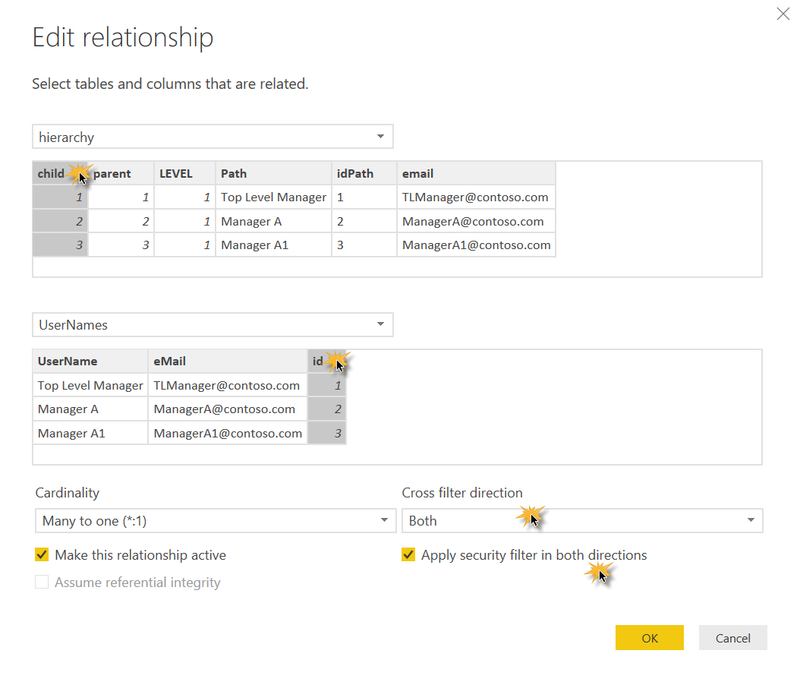 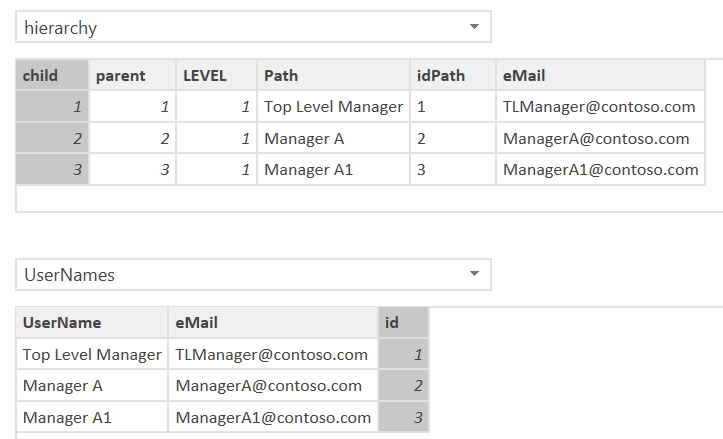 This query works, but we can only join this with the facts and see which manager hierarchy does stand behind the user in a string, but we cannot query the hierarchy or filter this. 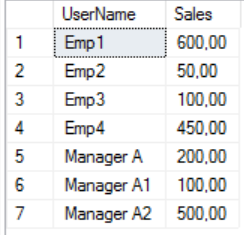 An option will be to multiplicated the rows in the fact data and create every row with the full hierarchy, but this will be only works with the “Adventure Works” or something else and this does not meet the reality. 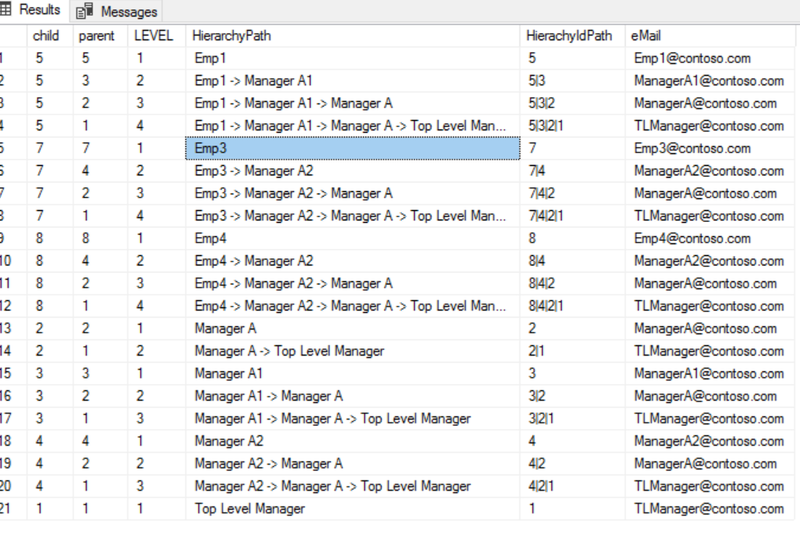 If we have an organization with 1000 employess and over 100.000.000 fact rows, we will get tons of rows and we get performance troubles… So we need another solution. 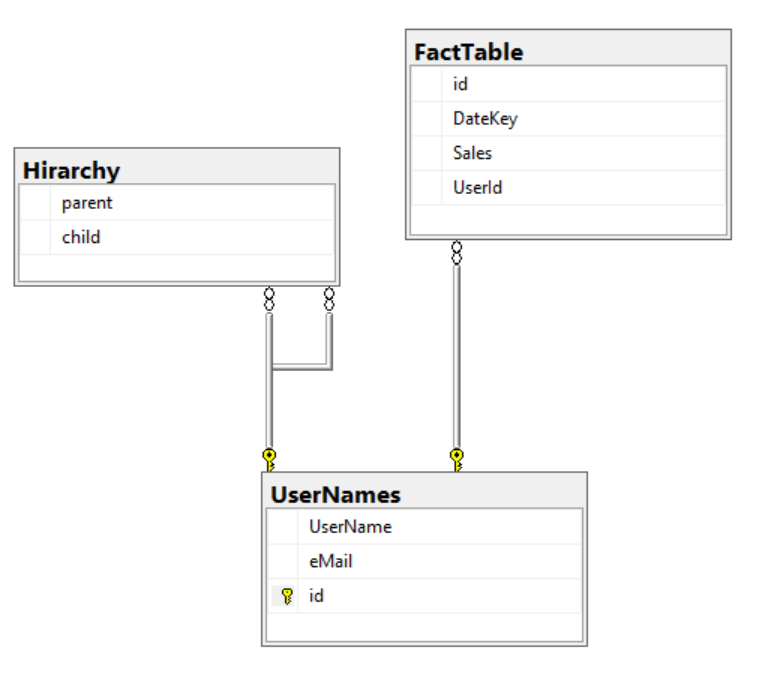 The query gives us every combination in the hierarchy tree. 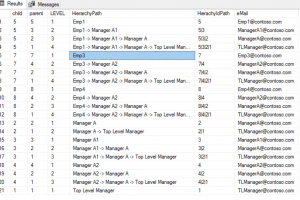 If we filter by “Manager A1”, we get his manager and his employees. 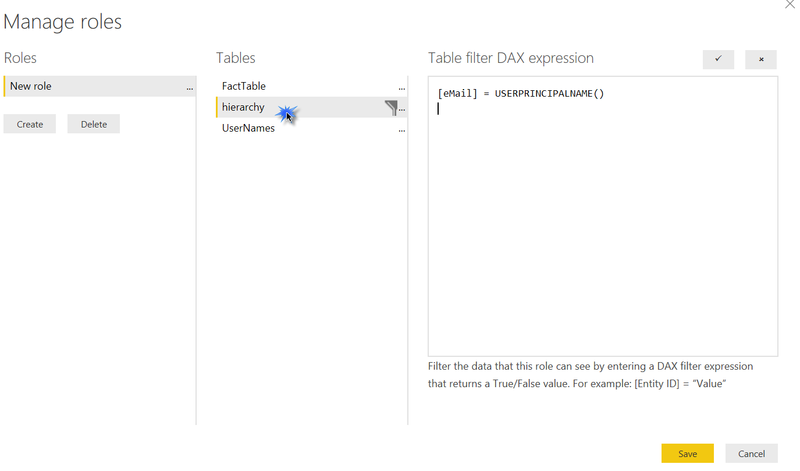 If you have a hierarchy table, this is the easiest way to create a RLS und an a hierarchy filter. You will only create some more rows in a mapping table. 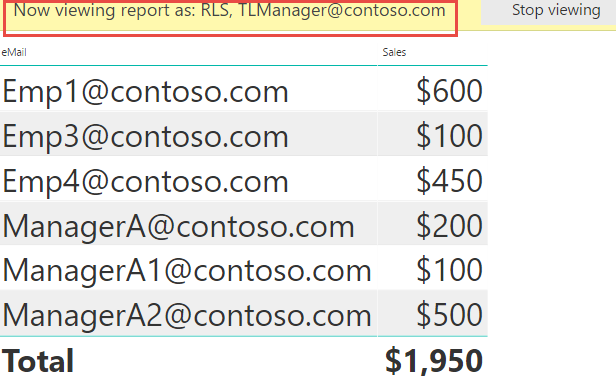 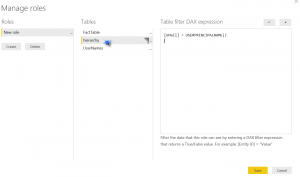 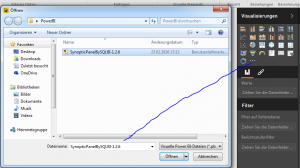 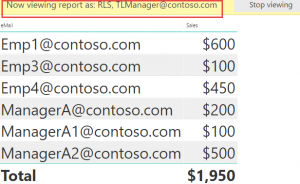 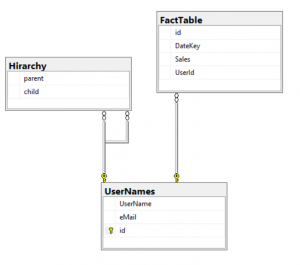 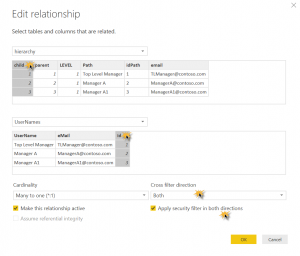 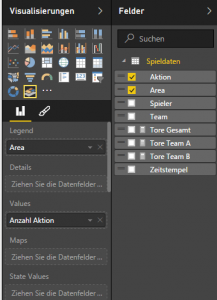 The RLS is quiet simple and works with Power BI and SSAS Tabular.